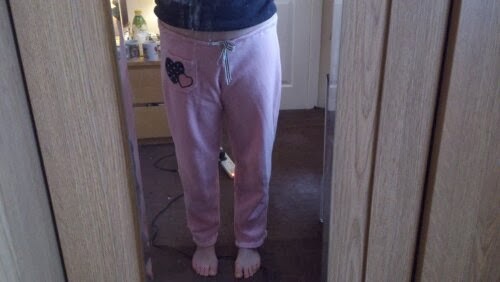 I did however spend an eternity overlocking the edges for the waistband. 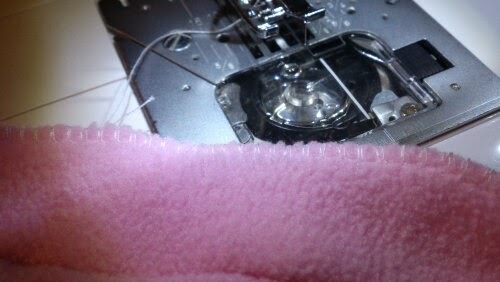 I would Deffo recommend an overlocking foot - it makes for a far easier job. 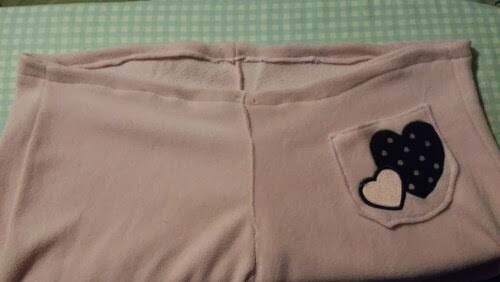 and I managed to complete that patch pocket, YAY! i was super amazed by my pocket. the bottom left edge looks a bit wonky however i managed a slight hemmingweb related disaster so all in i think it looks not too bad! So also the colour is apparently off in my pictures. I am a firm believer in LED lights. shame about their illuminating qualities eh? 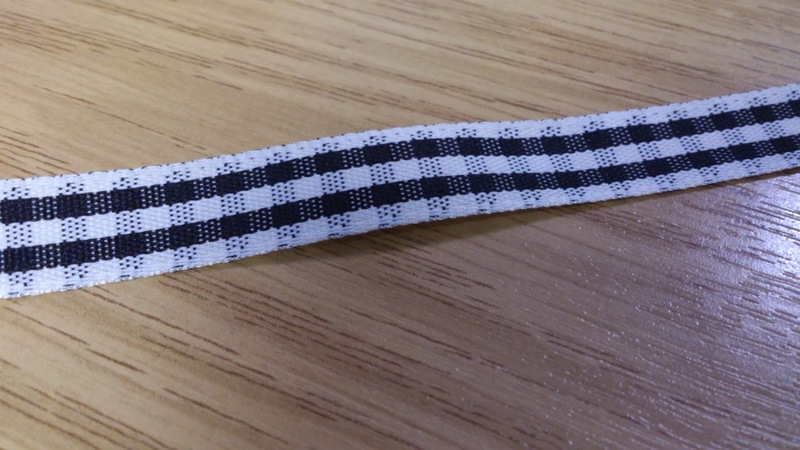 I also readied the waistband and at lunchtime today went and obtained some awesome black and white ribbon. Tonight I shall fight the cold! I didn't think that this deserved another post so here they are in all their pink fleecy glory! !